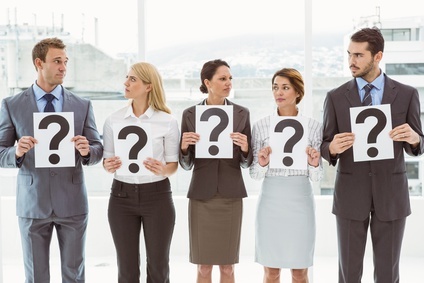 Do you know how to answer job interview questions about your reasons for leaving previous jobs? If you are leaving for a better opportunity you can go to these interview questions and answers to find good sample interview answers. If you were fired from your previous position go to how to answer interview questions about dismissal. What if you were laid off? 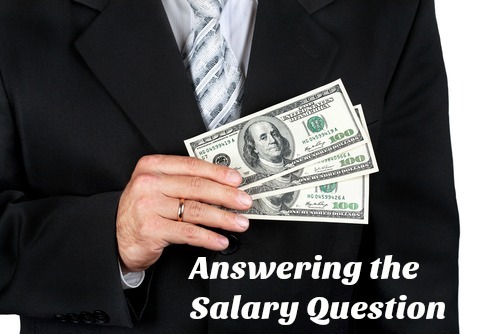 How do you answer job interview questions about a previous layoff? The best strategy is to be honest about the lay-off but to focus your job interview discussion on what you can offer to the job and the organization. Often people have been laid off for reasons that are beyond their control, there is usually an acceptable explanation. 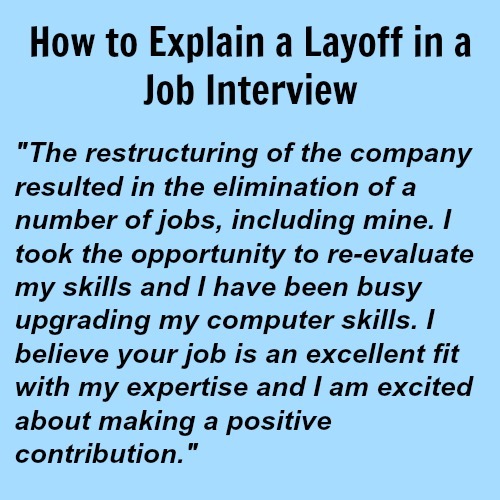 Company layoff policies are often perceived as unfair but the job interview is not the place to discuss that. 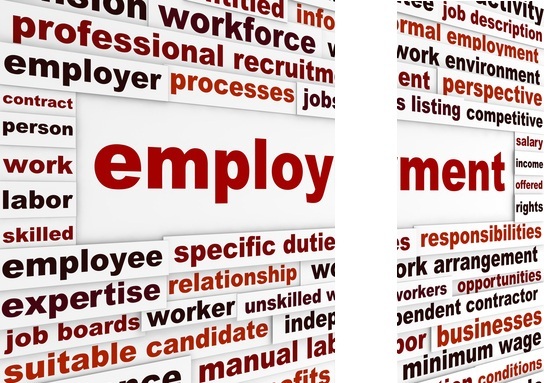 Many people have been personally affected by a layoff, or know of someone who has. Employers understand that job cuts are a fact of life and do not automatically indicate a problem with the candidate. The key is your attitude to the layoff rather than the layoff itself. Your attitude will be evident in how you communicate it to the interviewer. Follow these steps to provide a well-considered explanation. Prepare a statement that explains the layoff in a concise and factual way that you feel comfortable with. Give the reason such as downsizing, restructuring, a merger. Ensure that you highlight what you managed to accomplish during your time at the company. "The broad-based restructuring at the company resulted in my position being eliminated. However during my time there I was successful in ......."
Steer clear of criticizing your ex-employer, this can be perceived as having a negative attitude. You can move on to how the layoff has opened up new possibilities for you. "I am able to bring the following skills to this position ....... I'm excited about having the opportunity to meet new challenges." 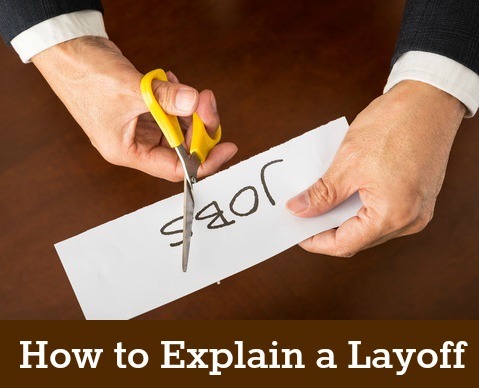 Be aware of the tone you use when you answer job interview questions about being laid off. Avoid an apologetic type of response or a defensive tone. Be sure your body language communicates confidence and transparency- arms uncrossed, sitting upright but not rigid, looking directly at the interviewer and making relaxed eye contact. Be prepared to explain both why you were laid off and what you did after that. Account for the time you may have spent being unemployed since the lay off. Focus on what constructive steps you took during this period. Any classes you have taken, the work-related information you have accessed and read. Make sure you are not inappropriately focusing on your layoff. If the interviewer asks "Why do you want this position? ", your answer should focus on the job tasks, job responsibilities and the company, not that you need a job because you have been laid off. 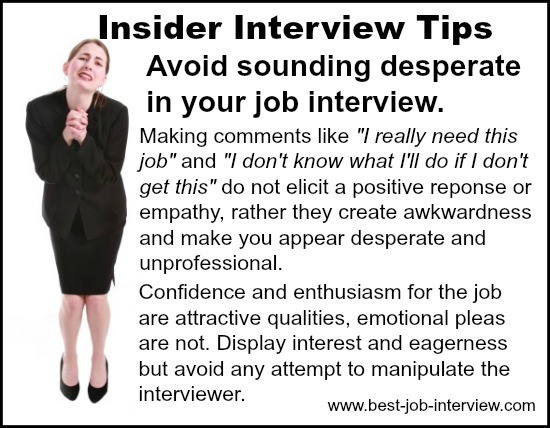 The interview is also likely to include some tricky behavioral interview questions. Use these sample behavioral interview answers to prepare. Preparing and practicing how to answer job interview questions about being laid off will increase your confidence and ability to professionally handle this difficult topic. Our comprehensive layoff guide provides practical steps to surviving a layoff and moving on with your career. How to qualify for unemployment benefits.